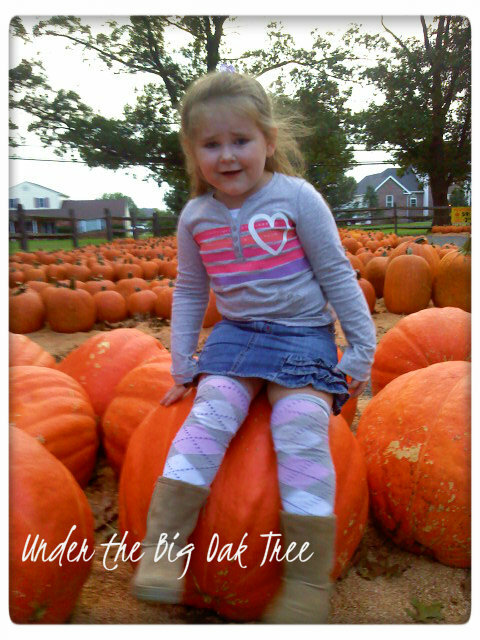 Joe and I enjoy the fall weather and love taking Grace on outings in the nice, brisk weather. Joe had work on the first day of fall, so Grace and I spent the day with our friends! Since they came to visit in our neighborhood, I decided we should take them to one of our favorite places for some ice cream. I'm glad they did, because they were getting the place ready for the fall activities that were beginning the following weekend. 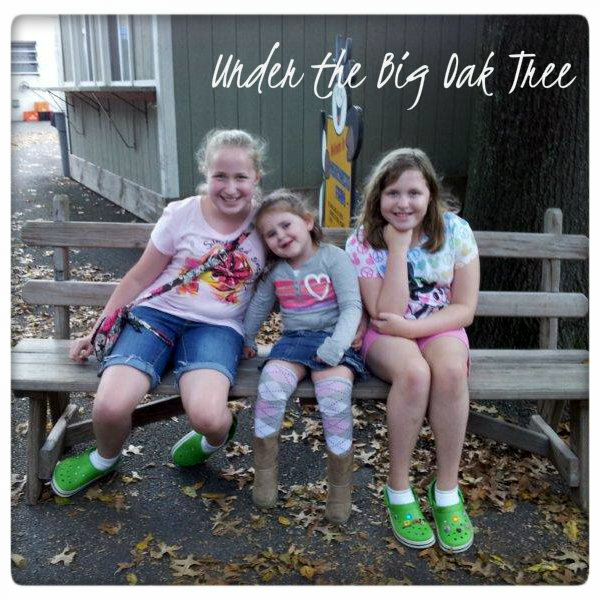 Although the corn maze wasn't open yet and the hayrides weren't running, we still had a good time. We got some photos of the kids, picked out a few pumpkins and enjoyed some delicious ice cream just before it started to get dark! 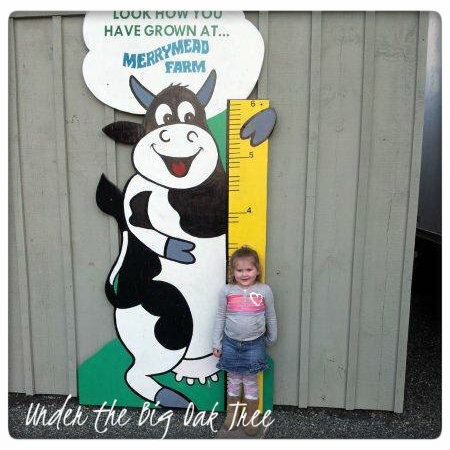 Of course, Grace had to stand next to the growth chart to see how much she grew since the last time we were there! 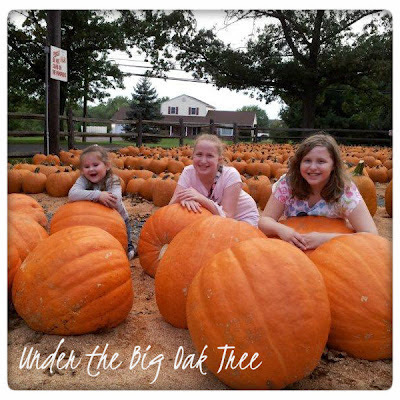 Look at the size of those pumpkins! They're huge! Grace really enjoyed hanging out with the girls and showing them one of our favorite places in the area! Thanks, Diahanna, Sarah and Meghan for a wonderful day! We always have so much fun when you visit!